Livin' the Dream: Happy Mother's Day! I thought I would just post a few pictures and some stories for Mother's Day. Happy Mother's Day Grandma's! I hope you enjoy this! Awhile ago we taught Isaac the First Article of Faith which he memorized. Each time he would say it we would cheer and tell him that he did a really good job. After awhile I guess we weren't reacting well enough to his reciting because Josh had him say it to my Grandma. He began, "We believe in God the Eternal Father, (then he got a sheepish little smile and said) and in Isaac!" We all laughed so hard! We tried and tried to get him to say it the correct way again but I am not sure we will ever hear it the right way again! He even said it to our pediatrician with his little change. Isaac will do ANYTHING to get people to laugh. And he is pretty good at it. Isaac is a very obedient little boy. The other day he started to throw a tantrum because I told him not to do something he wanted to do. Out of frustration I said, "Isaac, please don't cry right now!" He looked at me trying now to control his crying and with a quivering lip said, "Please cry, Mom?" So obedient that he even asks me if he can cry! When we were at my brother's wedding reception a week ago we looked over and Isaac had all of the kids at the wedding sitting in a little group in front of him. Isaac was performing lots of silly tricks to get them to laugh. It was working! They were laughing hysterically! This went on for about 15 minutes. We caught some of it on film...I will have to see if I can get Josh to download it sometime. Luke is getting so big! No really. He is 6 months and somewhere in the 20-23 lb range. I will let you know for sure in a few days when he gets his wellness checkup. Someone in the ward commented to me that he and another very big little baby boy we live by, are going to be the "linebackers of the ward." I am feeling very ready for this kid to be able to crawl! 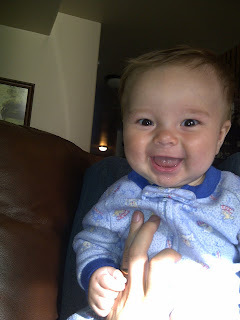 My favorite part of the day with Luke is early in the morning when I am first waking up. I usually sleep with him and wake up with him in the crook of my arm squirmming around letting me know it is time to get up. Most mornings when I open my eyes and look down at him, he looks up at me with and enormous grin! I wouldn't trade that moment everyday for anything! Happy Mother's Day Mom and Trudy! To two amazing mother's who have affected my life enourmously. Thankyou! I love you! For my brother's wedding we got the boys and Josh matching ties. They all wore them again for me for mother's day! I like to call this picture "Luke Suave!" 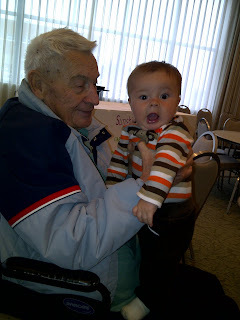 Luke and his Great Grandpa Bushnell! 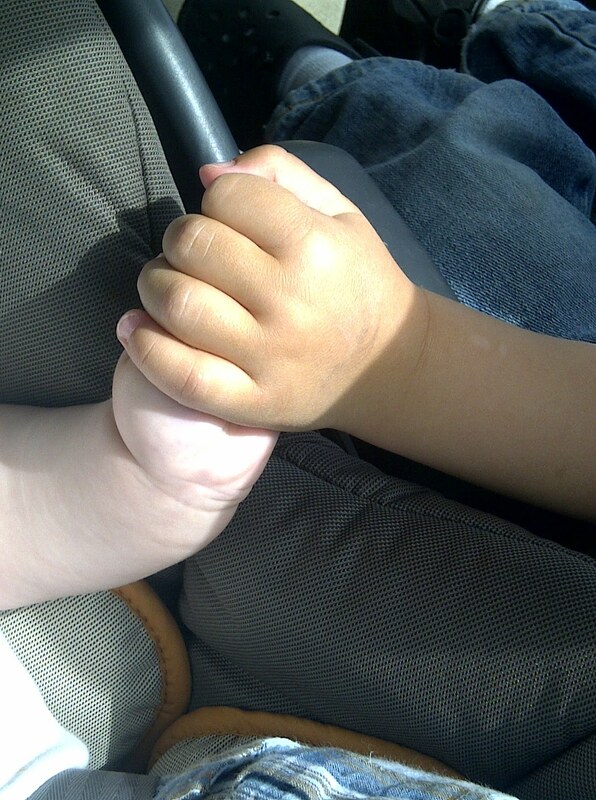 When Luke is sad in the car Isaac holds his hand to help him be happy. 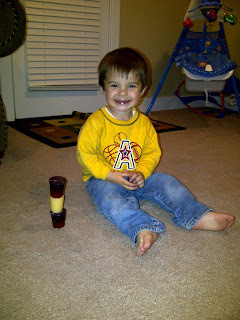 Josh caught a very proud Isaac stacking candles. 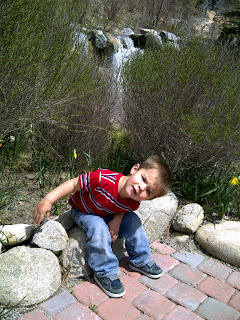 I don't know why but this picture of Isaac by the waterfall really reminds me of Josh. Luke and Grandpa Whiting. 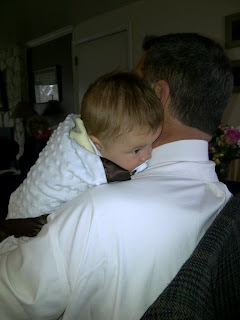 My dad has a way with babies! This is funny to know. 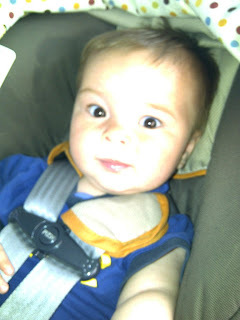 Almost everytime we take a picture of Luke his eyes get REALLY wide. I guess the flash startles him so it has been really difficult most of his life to get pictures of him where he is making a normal face...they are pretty funny though! In this picture Isaac was really yawning and it just so happened to look like Luke was yawning, too. So funny! Mary, your kids are ADORABLE. I love all the pictures! 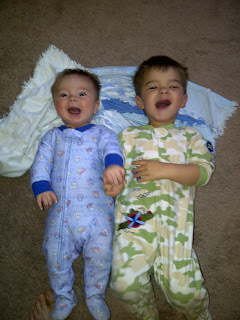 The one of both boys "yawning" is so funny - their little mouths are even tilted in opposite directions and everything. It almost looks staged! I want to come meet your kids sometime. Isaac sounds like a hoot! You have such a sweet family. Aren't boys the best? :) Happy Mother's Day to you! What cute boys! Keep up the updates! Wow! 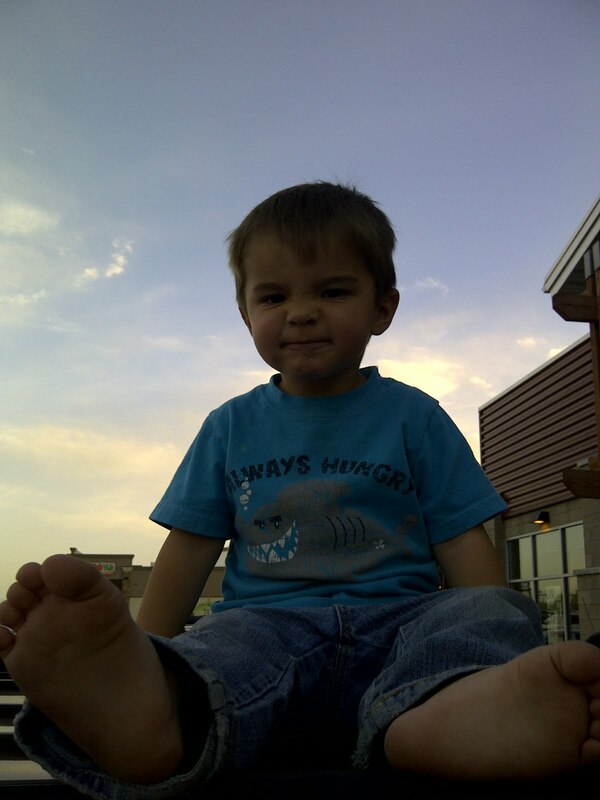 What cutie-pa-tooties! I love all the pictures, Mary, and the adorable stories! Your kids really are the cutest. I share these stories with everyone because they are so funny! Luke IS so big! Wow! 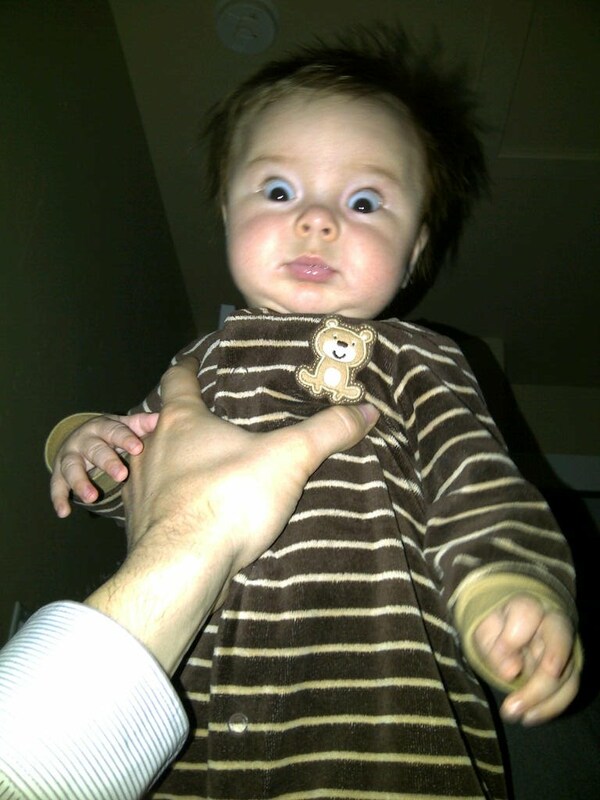 Colin is 5 months tomorrow and he weighs, 17 lbs, I think. I'll find out for sure on Monday. He is 26.25 inches long - pretty big, too but not as big as Luke! Way to go!! Oh, I wish we were next door.... these boys would have so much fun together! We need to catch up, again! Oh, and aren't those morning smiles the best?! I love them! 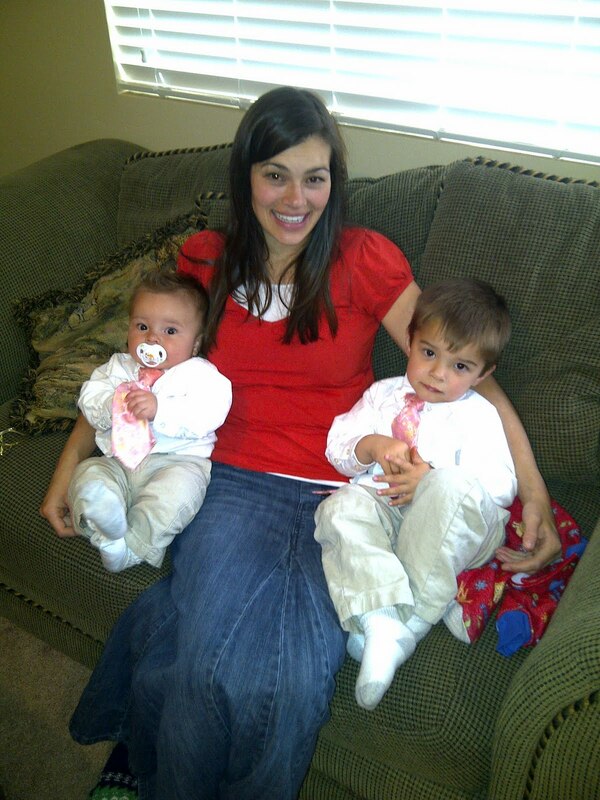 Happy Mother's Day to a wonderful Mommy! So glad I know you, Mary! So fun! I love all your stories. You're boys are way cute. I love the story about how obedient he is. Crazy though that Luke is already that big. LaNea is 20 months and tends to range between 23 and 24 lbs.